Electrical Services - Hire Electricans online using the Yaioa App. Get all your Home & Office Electrical issues fixed in no time. Find Electricians Nearby. Download the Yaioa app, signup and get started today. Everything you need to know about Electrical Services. We all want to know and understand what electrical services means but before I explain that let us know who an electrician is. An Electrician is a person who specializes in electrical wiring of buildings, transmission lines and has knowledge of the National Electrical codes. Electrical services simply mean the services an electrical company or electrician performs to end users who are reffered to as Clients. These electrical companies are uniquely qualified to meet the electrical needs of homes, industrial and commercial companies. They understand that providing safe, professional and electrical solutions is essential to the success of your company. Electricity is a valuable thing every home and business should have. Different electrical servicing companies provide various types of electricial services on the domestic, commercial or industrial sector. This means electrical services in homes/households. The services are installation and repair of things like wirings, power outlets, circuit breakers and house’s power meter. The commercial electrical services include troubleshooting and repairing of electrical systems like computers and other office equipment, updates power systems, installations, upgrade of electrical service and distribution. Industrial electrical services are design/build permit drawings &title 24 compliance, provide new electrical services and distribution, upgrade of lighting controls to mention a few. The electrician will not only determine the cause of power failure but also repairs and upgrade to keep your power systems operating smoothly. Short circuit usually occurs when an active wire and an inactive wire comes in contact or touch each other. The work of an electrician is to repair it and make sure it doesn’t occur again. A tripped circuit breaker is as a result of a short circuit or a ground fault which can result in a temporal power outage for that particular line as a safety measure to avoid overloading. Wires can wither under harsh conditions or be stripped of their insulation which can likely cause an electrical hazard. When this occurs, the wire should be replaced with new ones. wires, when too short or too stretched out to provide a power connection, can result in an electrical hazard. Electrical extensions add extra length to the existing wiring thus gives it space. These are electricians in training. They are working their way up to get a certificate to become a journeyman. They are well supervised by their higher-ups i.e. journeyman or master electrician. This type of electricians works mostly with mechanical connections, installations, and power supplies in homes and commercial buildings. These electricians are found in construction buildings, manufacturing plants, and utility companies. They can train apprentices who are working towards a certification. These are highly skilled electricians working in supervisory roles for big companies or as a licensed electrician in their own contracting businesses. They have completed their apprenticeship; have a bachelor’s degree and certificate as master electricians. They also need to possess managerial skills in order to supervise laborers, apprentices, and journeyman on residential or commercial jobs. Direct and train workers to install, maintain, or repair electrical wiring or equipment. List of Electrical companies in Nigeria. This is one of the leading engineering companies in Africa. They help their customers to transmit and distribute electrical power successfully and to increase industrial productivity in a sustainable way. They manufacture electrical appliances, they rent out electrical work tools and gadgets and does electrical work as well. PowerEx Limited is a company that specializes in electrical and power services in Nigeria. They provide technological solutions with the highest quality of service. They make sure their customers are well satisfied. This company specialization is on surface, conduit, and industrial electrification. They also install inverters, solar power, wind turbine etc. 0700inverters.com brings excellence and professionalism to the energy solution industry. This is an online store for inverters, batteries and solar panel that is long lasting and if it goes bad they repair it for you. This company focuses on installations, electrical design, and erection of electrical poles. This company is incorporated in Nigeria and Germany. They handle engineering projects like urban electrification, house installation, high tension, power distribution, street lighting, electrical infrastructure, public address system, and solar solution. Their main is to provide world-class electrical services to help Nigeria in the quest to join the most advanced economies in the world. Spincone is a licensed engineering and consultancy firm that provides innovative services in the telecommunication, power and energy sector. They also offer a global portfolio of PV inverters and services. They design, sell, install and service power systems for homes and businesses. An electrical company that offers electrical engineering services, electrical design, erection and installation services. They also design solar and wind energy systems thereby saving customers from spending much on diesel/ fuel generator maintenance. They specialize in electric concrete poles, solar renewable energy solutions, and street light poles. They use safe and quality materials in all their projects. This company also has types of equipment that is used to handle all construction projects. Dayson Nigeria Limited is an electrical and mechanical engineering firm with more than 20 years of experience. They provide electrical engineering services such as transmission, installation, and maintenance of power system components. This company designs power stations, substations, and transmission lines. They provide high-quality solar power electronic(UPS, inverters, rectifiers) and mechanical, electrical and plumbing solutions in private, government, schools, banking industry, healthcare, real estate, and Gas sectors. For more than 15 years, this company has been working effectively to make the people of Nigeria happy. This company is a major distributor of ASTOR, ABB, MEKSAN, EVAPOWER, and STD distribution and power transformers. They provide efficient and reliable products to their clients in Nigeria and Africa as a whole. DMS provide services that meet their client's demands. Their main purpose is to provide reliable electric power supply, information technology and telecom integrated solutions in Nigeria. Taewoo lp Limited is a Nigeria company aimed at rendering engineering construction services, mechanical and electrical building services. This Company is trusted and well known by Nigerians. They are responsible for the supply, maintenance, and repair of power supply such as; Solar panels, inverters, and batteries. Electrical work can’t be done without the right tools. 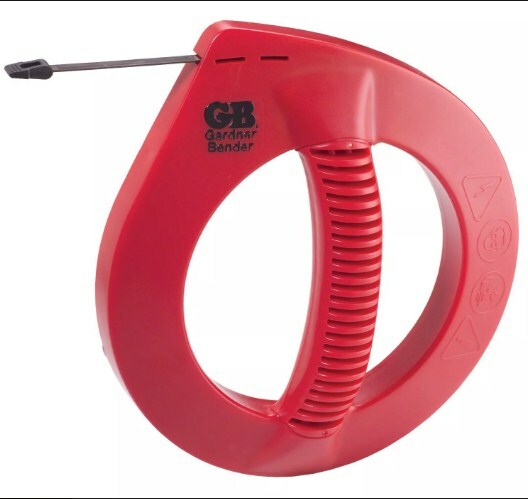 Basic electrical tools are widely available at most home centers and electrical supply stores. Some tools have been improved in the past years as well as new ones. But there are certain tools an electrician must have regardless of the type of electrical work he/she does. Handy tools are the basic tools electricians can’t be without. These tools are small and comfortable making their work less stressful. Power tools are corded or cordless but today’s power tools are in smaller and lightweight models. The most used power tools for electricians are saws and drills. Pliers are tools an electrician can’t work without. There are different types of pliers such as side-cutting diagonal pliers, linesman pliers, tongue-and-groove pliers etc which are all very useful to electricians. Pliers have contoured and cushioned handles that feature a pliable outer surface and hard, black inner material providing a more comfortable grip without too strength and durability. Electricians need screwdrivers to work with different types of fasteners and applications. 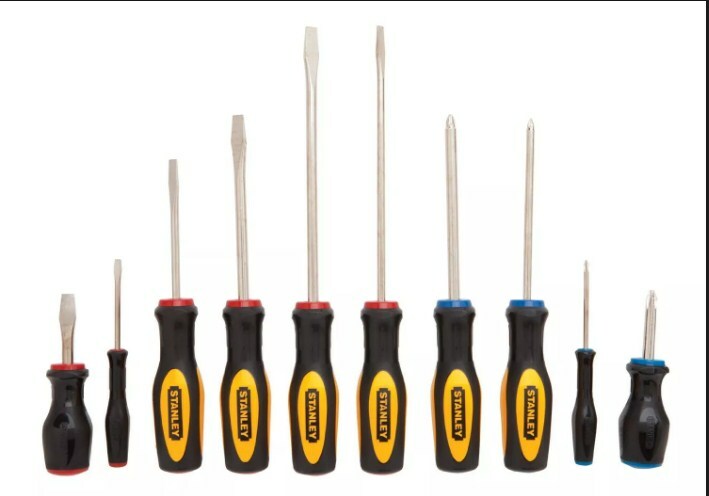 screwdrivers are used for removing and installing cover plates, switches, outlets, and other devices. 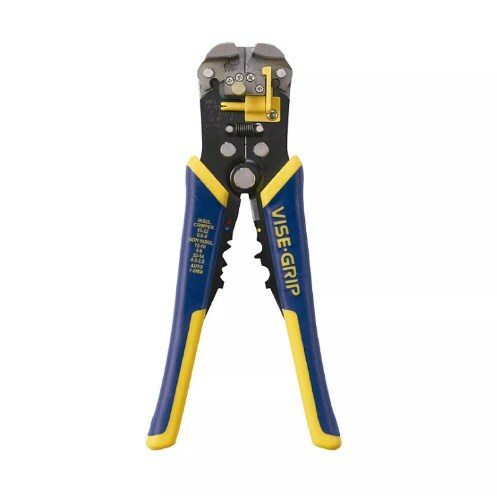 wire strippers are used to cut and strip insulation from the electrical wire. They have different holes for stripping different standard sizes of wire and include cutting teeth for trimming the wire ends. Fish tapes are used to pull stranded wire through metal or PVC conduit. 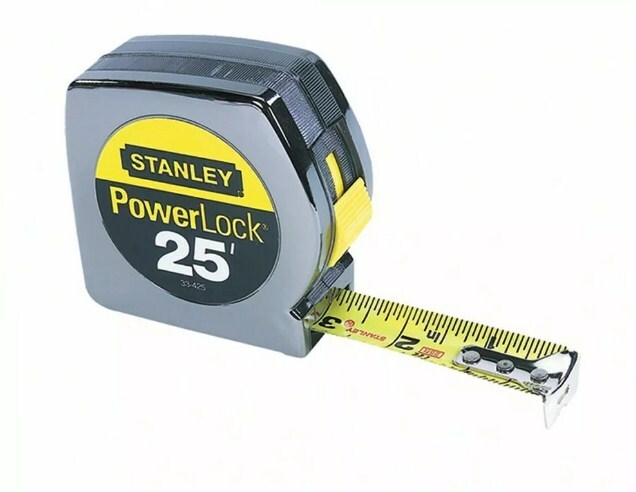 The tape measure is used for all types of field measurements like setting heights for switches and outlets, centering lighting fixture boxes, and marking surfaces for cutouts. A non-voltage tester is the safest type of testers because they can detect electricity just by nearing a wire or an outlet slot. Hammers are mostly used in homes to perform one task or another. Electricians also use hammers to drive wire staples when installing new electrical cable. 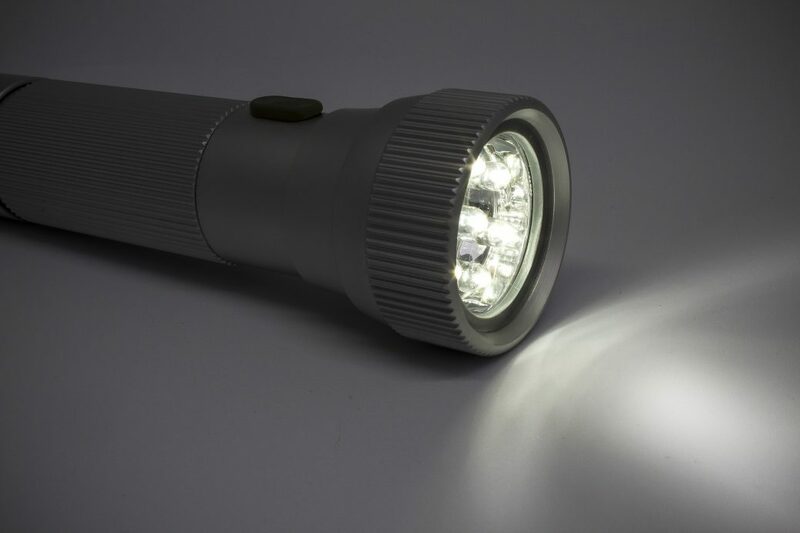 At times electrical works are done in dark places, so a flashlight is needed for convenience and for safety. 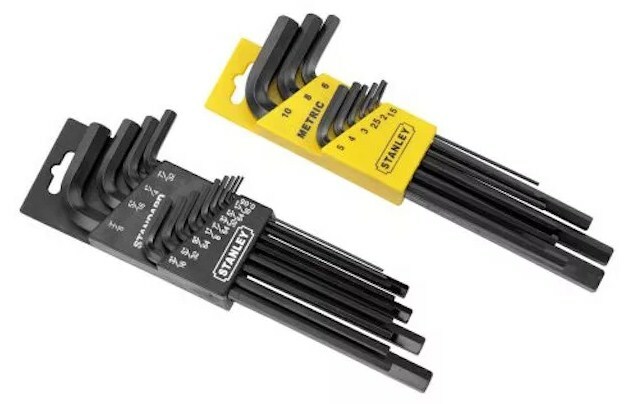 Allen wrenches are used to tighten hex-head screws. As an electrician, you will need both metric and standard sets. 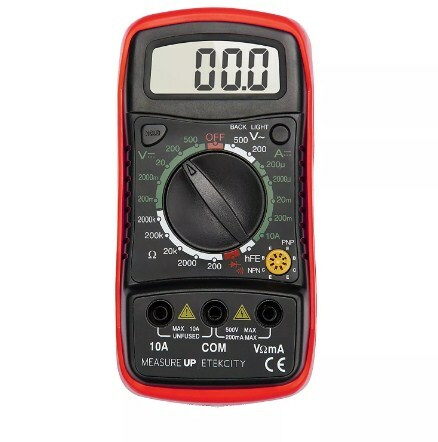 This meter is used to read voltage levels and verify when circuits are on or off. 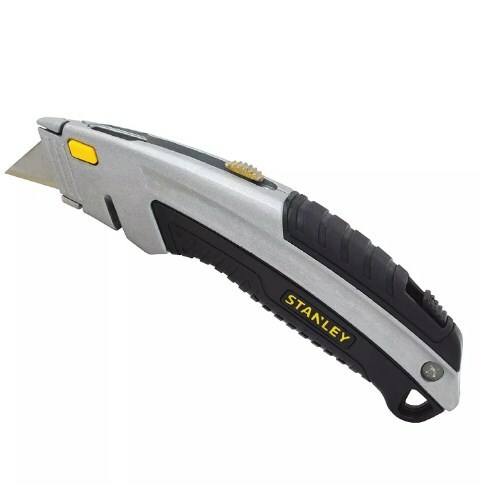 Utility knife is also known as a box cutter. 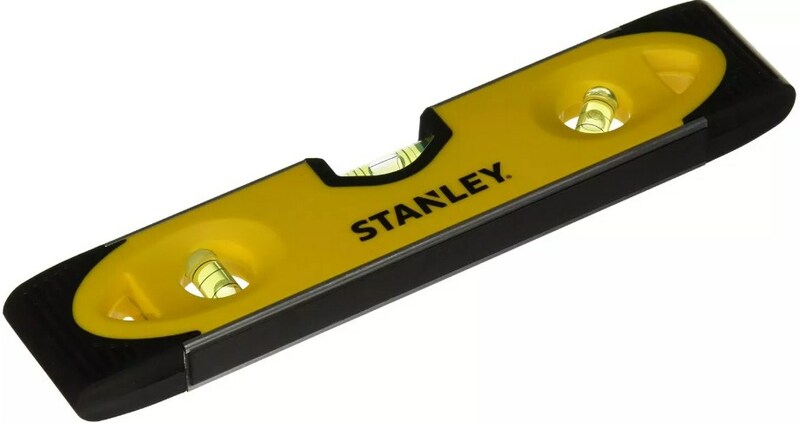 It is used for cutting sheathing from non-metallic cable, to cut off an electrical tape, and to open cardboard boxes. Wire crimpers are used to crimp terminals or lugs onto wires. They are also used to strip wire insulation. This tool is very small in size and can fit easily in a tool pouch. It is used to make sure that your work is plumb and level. Electricians also uses drills to work. The power requires depends by drill depends on the material being drilled. 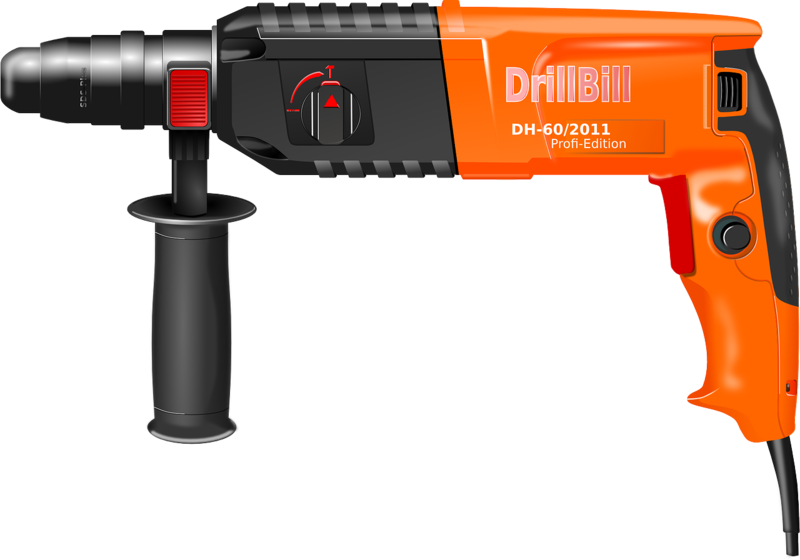 For your work to be quick, a lower-voltage cordless model might be used for drilling into concrete, but a harmer/drill provides more impacts and can drill more holes faster. The type of saw needed by an electrician varies with the type of job he does. Handheld reciprocating saws are one of the most power –saw equipment. 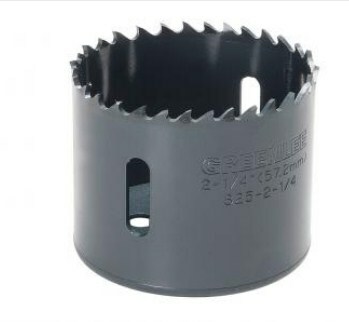 Spiral saws also perform the same tasks as the reciprocating saws, but instead to cut with a blade, they cut with a bit with downward parabolic fluting. Other saws include hole saws, cut-off saws, and portable band saws. Electricians be it apprentices, journeyman, or master electricians carry out various electrical services in homes, companies, and industries. They install, repair, and maintain electrical systems. Every home, businesses, and industries need electricity one way or another that is why electrical services are needed from electricians for domestic, commercial and industrial purposes.